Is There a Klingon Word for Non Sequitur? As promised in the previous post, the following is a conversation with Klingon speaking Ed. His real name isn’t Ed. I’ve changed the name to protect the innocent. The innocent being myself; Ed’s a few sandwiches short of a picnic. Me: So, what’s up with this whole speaking Klingon thing? Ed: Isn’t it obvious why I speak Klingon? Me: I dunno–have all the normal ways in which you repel women begun to fail? Me: Nope, (wiping the spit from my face) you’re as repellent as ever. 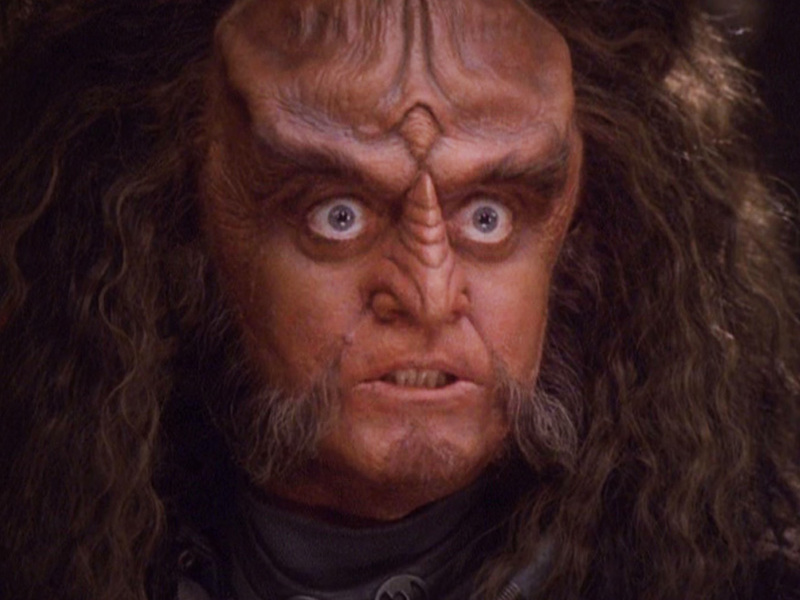 Ed: Klingon is the language of a noble warrior race. Me: Of course it is. It just seems to me that it would be more useful to learn a language you may encounter on this planet, such as French. Ed: French is hardly the language of a noble warrior race. Me: Point taken. What about Spanish, a lot of people speak that language? Ed: No. Mexican food gives me gas. Me: Does it? I’m curious, is there a Klingon word for non sequitur? Ed: I don’t know what that is. Me: It’s a Latin word that means: it does not follow. Ed: Why didn’t you just say it does not follow? Me: So you think it’s more useful to use an English word than a word in a language very few people speak? Ed: People don’t screw you when you speak Klingon. Me: Really, you speak Klingon and people screw with you constantly. Me: Well, I’m pretty much screwing with you right now. Ed: I don’t think so. Me: It feels like I am. Ed: Klingons are hyper-aware of their surroundings. Me: You do realize you’re not a Klingon? Ed: Of course I do; I’m not an idiot. I wiped the spit from my face as I watched him storm away in a huff. Real Klingons never storm away in a huff. 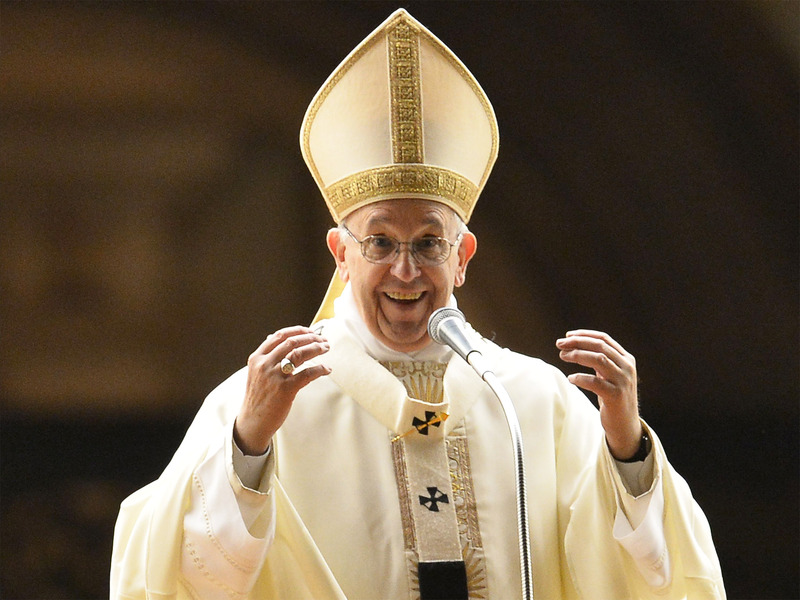 The Pope knows what a non sequitur is. Way, way, Really way, really too much Star Trek! So I should forget my ten part blog posting about Captain Kirk’s hair. Ted Danza’s real hair or his fake hair? Fake of course! I don’t think he has real hair! lol.. I think you were talking to my ex brother-in-law. Easy way to check: is “Ed” allowed within 500 feet of Alyson Hannigan? That’s 500 hundred feet closer than I’m allowed to Alyson Hannigan. My court-ordered therapist would strongly disagree. I have always suspected that. The Pope also speaks Spanish. And he lives in Rome.